There is no need to embrace everything about the victim of a crime in order to denounce that crime. I can support Charlie Hebdo’s right to free speech and even agree with some of the things they publish while disagreeing with other parts of their content and recognizing that they can also be racist and misogynist. 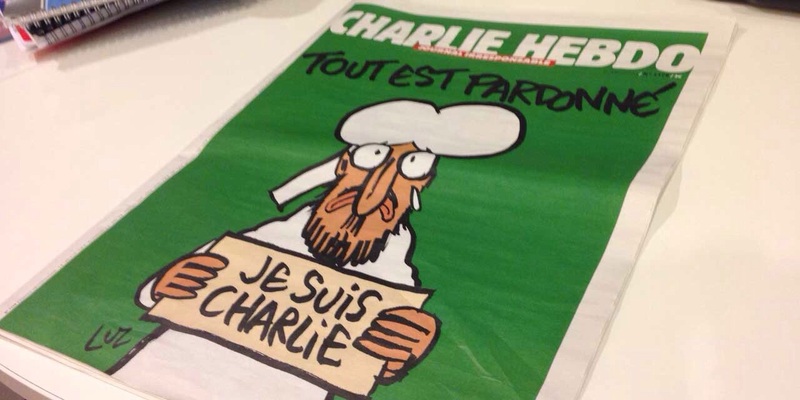 I can support Charlie Hebdo and oppose racism. I can oppose both Dieudonné’s ideas or jokes and their censorship. I can deplore Islam’s tenets and defend the right to practice it. I can support rationalism atheism while disagreeing with prominent atheists. I can condemn colonialism and terrorism. And yes, I realize that I can hold these opinions and voice them because I am one of the lucky people who not only was raised in a democracy (Canada) and now arguably lives in another (the US), but also had the benefits of fantastic parents, education, middle class, being white, etcetera. Posted on January 15, 2015 by mechanteanemonePosted in français, rants, societyTagged humanism, rants, society.